Car Accidents | Traveling in South Carolina? Hofler Law Firm focuses on helping people injured in accidents in South Carolina. If you’ve been injured in a car wreck in this state, call us at (843) 799-0680 for a free consultation. South Carolina’s beautiful weather and beaches draw people from across this state and across the country. Unfortunately, the increase in tourist traffic also brings an increased risk of car wrecks. In fact, in 2016, South Carolina far exceeded the national average of fatal motor vehicle accidents. Major interstates like I-95 and I-20 often clog with slow traffic and wrecks. 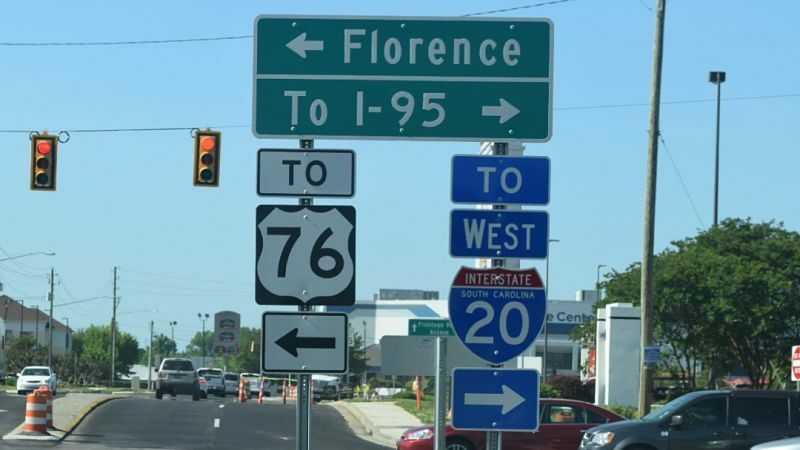 If you are an out-of-state driver who has suffered an injury in a car accident in South Carolina, you likely have questions about where to turn. The purpose of this post is to try to remove some of the confusion that comes with this issue. Can I Hire a South Carolina Lawyer if I am From Another State? If you have been injured in an automobile accident in South Carolina, you should hire an experienced South Carolina car accident lawyer to represent you. A local attorney is strategically located to gather evidence and build a case for you. An attorney near the scene of the car accident may be able to coordinate an investigation more quickly and easily. A local attorney has community connections and an established reputation in the legal community. A local attorney has familiarity with area judges. That attorney may know how judges are likely respond to legal issues that arise in your case. A local attorney may have a relationship with local defense lawyers. This will be an advantage when it comes to negotiating a settlement. A local attorney understands how local juries may respond to your case. Having an idea of the potential jury verdict range helps you decide whether to settle, and if so, for how much. What if the At-Fault Driver is from Another State Too? The answer to this question relates to jurisdiction. This term refers to whether a given state’s courts have authority to make legal decisions regarding an individual or business. We could easily devote an entire post to talking about the complex issue of jurisdiction. The short answer is this: Under certain circumstances, you can file a law suit in South Carolina against an out of state driver for a car accident that happened in South Carolina. If an out-of-state driver’s negligence caused your car wreck, contact a South Carolina lawyer to ask about this issue. Car accidents involving people from different states can create difficult jurisdictional and practical questions. An experienced lawyer can help you navigate these issues. At Hofler Law Firm we focus on helping victims of car accidents. We treat our local residents and out-of-state visitors like family. We would love to talk with you about your case. For more information on what to do if you have been in an accident, see our helpful car accident checklist. If you’ve suffered injuries from a car accident, schedule a free consultation with our office.